$561.27+ My first ever build! Budget Ryzen 3 1200 gaming PC. This works great, ALTHOUGH. I thought I was gonna spend more than I actually did and had around 25$ left, so I would of spent that on a RX 470, which I recommend to anyone with a little more to spare, but thats not to say this isnt worth it, great band for buck! Caught this on sale. My previous card was a Radeon HD 5570, and this one is BIG in comparison. Performs great. For the price, I couldn't ask for more. This GPU has to be on th category of "great performance-per-dollar." 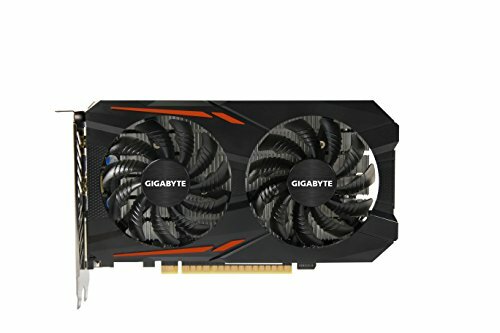 At first I really wanted the GTX 1060 3Gb (for $60 more), but lowering my standards for budget's sake and going with the 1050ti was a great decision. For the most part, I play games that are not too GPU-intensive like Overwatch, CS:GO, and League of Legends @ 1080p, max settings, and 60fps minimum. This is a great GPU especially for budget builders and I stand by it. Even though I was going for a 570 (now it only exists in Ethereum farms) I realised this was a perfect GPU for me personally. Before that though it's important to note that it does not require a single power connector making cable management a bit easier. Oh and no led light :( which was a bit disappointing but is expected because of the lack of a power connector. As much as I'd like to say that I game everyday (that's why I saved up for a PC because 24fps Skyrim ultra low settings on a laptop can drive a person crazy) I don't. 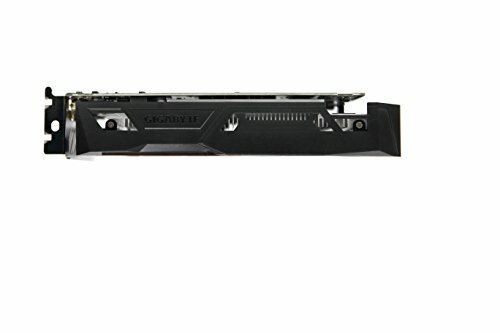 I just watch Netflix and YouTube most of the time… ANYWAY enough of that, this GPU is more than capable of 1080p gaming at mostly high settings. Skyrim SE got around 45-60fps and an older title Fallout New Vegas got 55-60fps. Keep in mind that there was no overclocking and that you could just lower a few settings to get higher fps which I assumed you would since it's kind of a budget GPU. can pack a bunch way above its weight class, great for a budget gaming build. Video Card: This I say, was the most difficult to settle on. I really wanted to push my budget with the part. The only thing I didnt manage to get was the 256bit, but I think I wouldnt even notice it, this card does its job. The fans kick in when there needed and its super quiet, it to also fit`s my dark themeish, lol. Seems good. Not a gaming enthusiast box, for work. Works very well, quiet, and keep the card cool. It also is backed by a trusted company as well as having 2 fans in a WINDFORCE design, or at least the one I picked up. With the graphic card epidemic I knew if I didn't pick up the 1050 ti at the price I got it, I would have had to spend a lot more for something like the 1060. 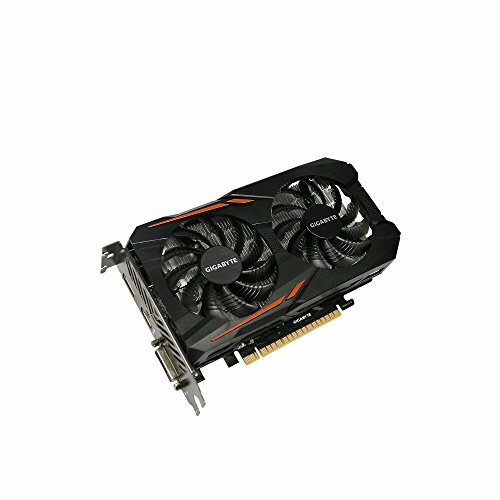 This card works great for running Fortnite on mostly high settings at Fps around 130. You can do all Epic settings and get around 60 Fps or all high settings and get 85-100 Fps. I haven't played other games yet, but I know it works great for 1080p gaming. 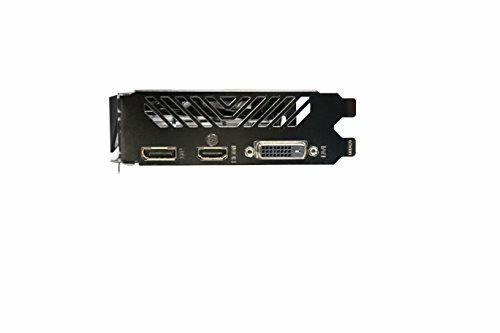 As of right now this card is the best return on investment for new computer builders if you can get one sub $200.